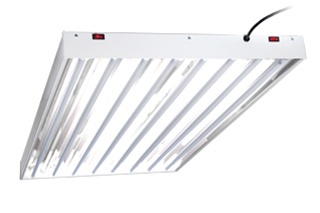 This desktop plant light offers illumination and versatility for indoor growing. The lamp has a flexible neck and adjustable height to provide clean and balanced light that works for seed starting, small potted plants or even as a reading lamp. No matter the use, this desktop lamp provides energy efficient, flicker-free performance that will be good for your plants for years to come. Perfect for your Aquaminiums and AquaDorables!